Is there a smell that will immediately sicken you? The smell of frying mushrooms. It's strange because I can eat mushrooms in most contexts (in a stir-fry, on a pizza, in noodle soups). But frying button mushrooms? Bleargh. It's also tragic because the males in my household love fried mushrooms, and I simply cannot make them for them. When you want quiet, where do you go? Into my study, which also doubles as the spare room. I'm hopeful that one day, these can be two different rooms in this house. Do you need/prefer total darkness when you sleep? I prefer it, but don't need it. As long as no one is bothering me, I can sleep almost anywhere. What is your least favorite taste? You mean besides fried mushrooms? I don't much care for the flavour of undiluted offal, as I find it much too strong. How heavily do you rely upon your sense of touch? Quite heavily. If I'm not using a keyboard (I touch-type), I'm using my smartphone, or driving, or making a meal, or doing the laundry, or exercising. I am a whirlwind of motion most of the time I'm awake. I use touch to check my children's temperatures every morning, and the condition of their skin. 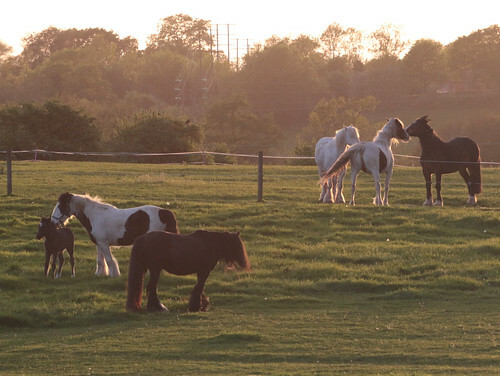 In unrelated news, here are the Shaggy Ponies (and horses) having some manner of familyconsultation. This entry was originally posted at https://nanila.dreamwidth.org/1155765.html. The titration count is at .0 pKa. 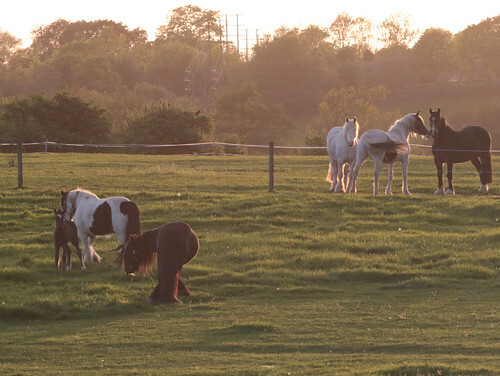 Omg lookit those conversing horses. I looooove them. I seriously just wanna go over and hug them!